From Winona to Waterdown, Albion Falls to Ancaster and everywhere in and around Hamilton, if you're looking for reliable home comfort, no one knows how to provide it like the Reliance™ team in Hamilton. It starts with our friendly and professional call support, available 24 hours a day, 365 days a year, to answer your questions or address your issues or concerns about heating, cooling, plumbing and more. And when we visit your home, you can count on installers and technicians who are fully licensed and continually trained, ensuring the installation and service we provide is what you need and expect. And long after our team is gone, you can rest easy knowing that, if anything ever goes wrong, you're covered by our range of protection plans and guarantees – some of the best available anywhere. Whatever your needs, Reliance Hamilton's #1 goal is always the same – to keep you comfortable in your home. Please call us or book an appointment online! Reliance strongly believes in invested in the communities it services. We are a strong supporter of United Way and Habitat for Humanity. We also love to encourage children in the community to be active, so if you have a sports team that is looking for a sponsor, feel free to contact us. 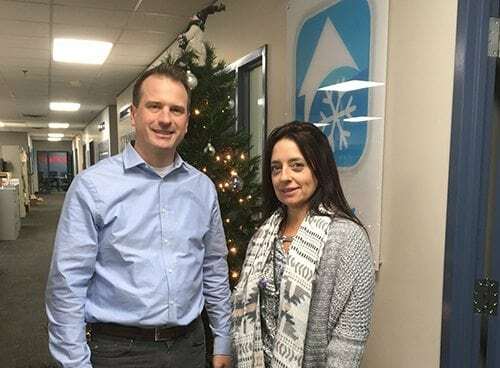 Mario Angeloni, Reliance Home Comfort Advisor, appears on CHCH Hamilton’s Morning Live to provide tips on how to prepare your home for the cold weather. Reliance Hamilton team members volunteer for United Way’s Day of Caring campaigns. In 2016, we showed our support and volunteered at a local soup kitchen. 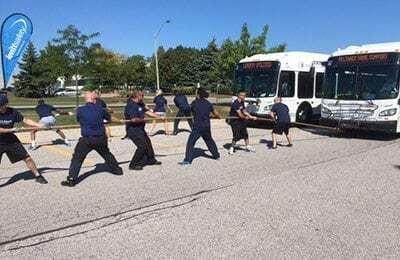 Eight of our team members pulled a full-size city bus to near victory – beat only by firefighters and the police – at the Oakville United Way Bus Pull to support and raise some cash for a great cause. 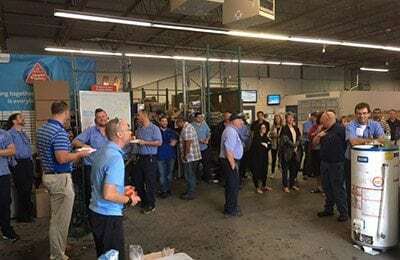 Our annual BBQ gives our team the opportunity to donate to United Way via payroll deductions, making regular small contributions that have a huge impact on our community. Reliance matches every dollar its team members donate – doubling the impact. 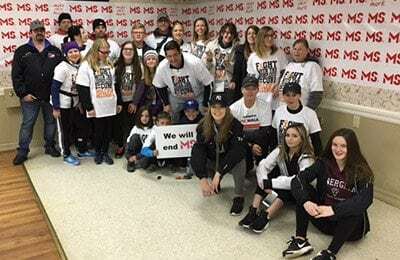 We came together and raised over $4,000 supporting our team members in their fundraising as they took part in the walk to end MS. The Niagara chapter of the MS society raised over $68,000. 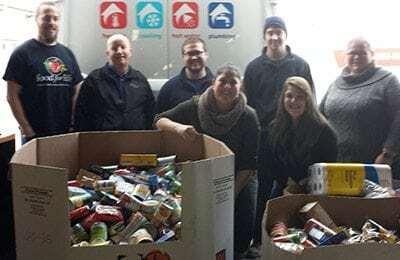 We partnered with local community organizations like United Way and Food for Life to help make the holidays a little brighter for those in need in our communities. We were able to deliver a truck-load of non-perishable food donations. The holiday cheer continued as we tallied up all the proceeds from our raffle ticket sales and contributed an additional $2,900 to the Hamilton Urban Core Community Health Centre. This organization supports the homeless and struggling families and works to get young people off the streets of Hamilton. Sherri, from the Hamilton Urban Core Community Health Centre, reported that, because the area she operates in has the highest poverty level in all of Ontario, the funds could not have come at a better time. "Booked an appointment for service on our 15 year-old furnace (Feb 01). Ted arrived on schedule and discovered a serious problem for which he very professionally and kindly recommended replacement of the furnace. He advised me to contact Norman Wong re a new furnace. I did and he arrived about two hours later. Norman professionally advised us of our options for an appropriate furnace/AC combination. We accepted an option (rental) and Norman arranged an install for the following day and was in touch throughout the process, including a visit today to make sure everything was alright. Feb 02: Right on time, Matt (2842) and Bill (1098) arrived and about 7 hours later we were back in the heating and cooling business! They wore "booties", put down runners, and removed the old furnace and installed the new without a scratch on anything. Before leaving, everything was cleaned up like they'd never been here. What they had done and how to operate the new equipment (thermostat) was expertly explained. All and all, an excellent experience and I will recommend Reliance to my friends, neighbours, and relatives. 10 STARS for Reliance Home Comfort Hamilton." "My water heater went rogue on July 1 (holiday). I called Reliance at about 10 p.m. that night and a service technician was at my door at 8 a.m. the next day. The problem was quickly diagnosed and fixed. 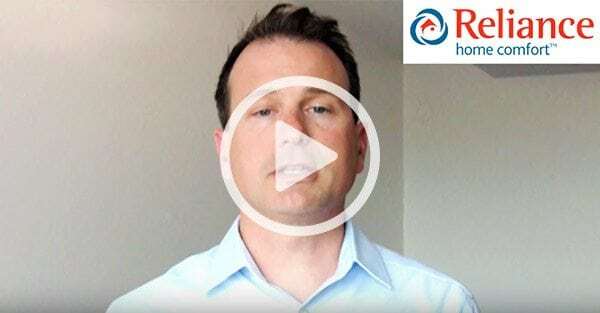 Matt was pleasant, helpful, courteous and recommended other Reliance service coverage I am very interested in acquiring. I was totally surprised and taken aback by the level of service I received (expecting a much more frustrating experience based on the service records of other companies, let alone on a holiday weekend)." "Reliance plumbing protection service. Fast, efficient, very courteous service. Called in at 8:15 am and repair was completed by 5:00. It could have been done in the morning but we were not home. The toilet works like new. Highly recommend Reliance Home Comfort protection plans for HVAC and plumbing." "Had the pleasure of dealing with two service techs that came to my home and installed a new A/C unit and furnace. Bill #1098 and Dan #2097 are really professional and did the job amazing. Would recommend these two gentlemen any day of the week."